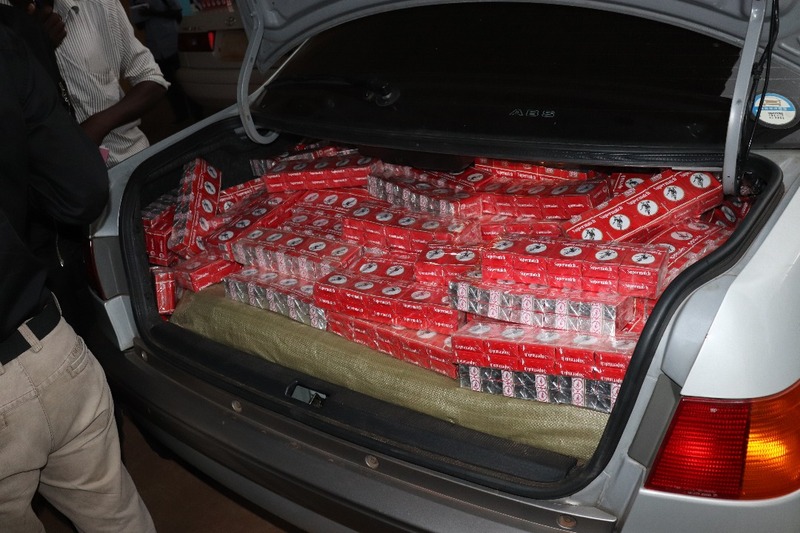 In past six months, Uganda Revenue Authority, the tax collecting body has been grappling with an ever increasing rate of cigarette smuggling especially Supermatch cigarettes from neighbouring Kenya. However, following a tip off from their intelligence officers, the tax body on April 8 intercept a brand new Toyota Premio at Kalerwe, a Kampala suburb along the Gayaza road and this would later lead them to busting of a racket involving three billion shillings worth of cigarettes. According to the Assistant. Commissioner in charge of Enforcement at URA, Agnes Nabwire the vehicle was found with 796 bombers of Supermatch cigarettes destined to a consolidated areas in Kisaasi, another Kampala suburb. They would later intercept another vehicle containing 2832 bombers of cigarettes. A bomber of cigarettes is equal to ten packets. On interrogation, the tax bond found out that all the vehicles led to the Kisaasi consolidated area owned by one Francis Yeko who owned a fleet of brand new vehicles meant to transport smuggled cigarettes. 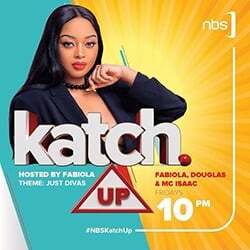 “We trailed Yeko until we arrested him from Tororo and on raiding the consolidated house in Kisaasi, we recovered more supermatch cigarettes,”Nabwire told journalists at the URA headquarters in Nakawa. According to Vincent Sseruuma, the URA spokesperson, smugglers take interest in Supermatch cigarettes because they are bought cheaply from Kenya and are profitable if they reach Uganda without being cleared. “They(smugglers) hire people to carry the cigarettes on their heads using paths along the Busia border before putting them in vehicles that drive them to Kampala,”Sseruuma explained. 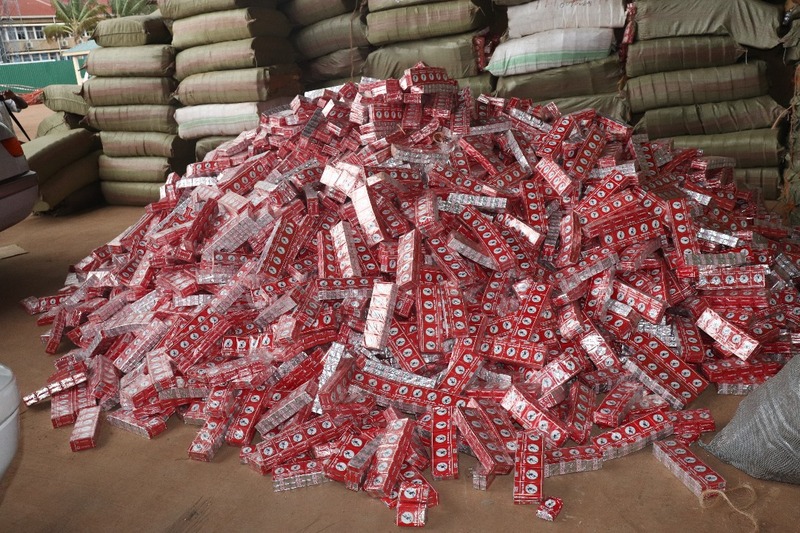 He added that the confiscated cigarettes were worth shs1.6 billion whereas they are valued worth Shs 2.5 billion worth of taxes in the last six months. Asked why the amount of taxes is more than the actual value of the cigarettes, Sseruuma said the tax bodies charges a heavy tax on cigarettes from Kenya so as to encourage manufacturers compete favourably with the cheap product from Kenya. He added that in 2017 Uganda Revenue Authority got Shs74 billion worth of taxes from cigarette imports making it a high value product. According to the tax collecting body,the three suspects including the drivers of the two vehicles and Yeko would be arraigned in court and charged with importing uncleared goods.